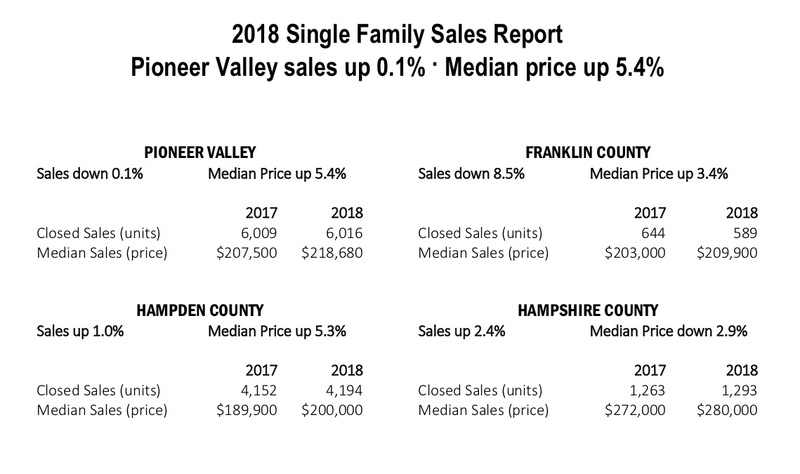 Sales of single family homes in Franklin County were down 8.5% and median price up 3.4% in 2018 compared to 2017. The sales were up in both Hampshire and Hampden County and median price up in Hampden County but down in Hampshire County. 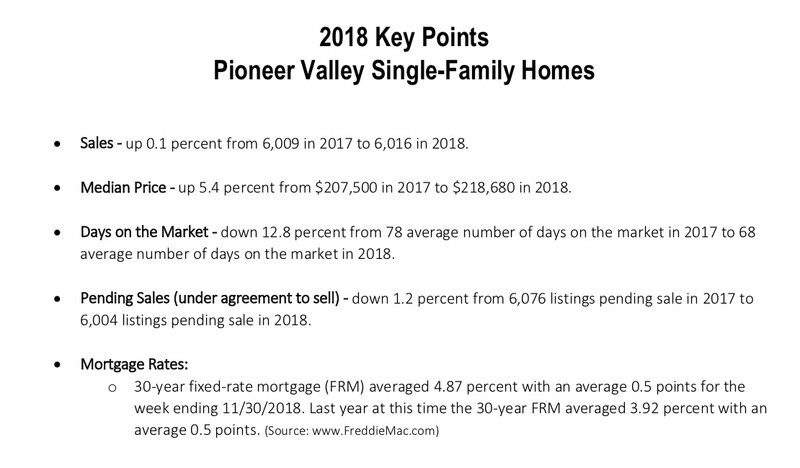 The average days on market was down 12.8% from 78 days in 2017 compared to 68 days in 2018. Listings which are pending (under agreement to sell) were down 1.2% from 6076 listings pending in 2917 to 6,004 in 2018.